Whether in high school or at a university, students will run into the challenge of having to memorize a great number of chemical objects. 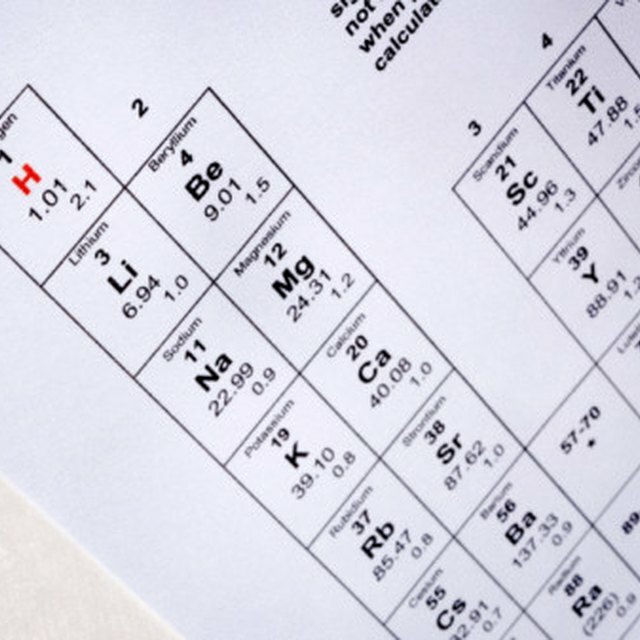 One such set of objects, the polyatomic ions, tends to be a difficult set of objects to memorize due to the fact that students need to memorize the chemical composition of the ion as polyatomic ions always have more than one atom involved, the name of the ion, and amount of ionic charge associated with it as well. However, you can skip the pain of rote memorization and successfully memorize the full set polyatomic atoms with practical memorization tools. The suffixes of the names of polyatomic ions have a pattern associated with them. If you will notice, oxyanions end with the prefixs “ate” and “ite.” The key to memorizing the names of oxyanions is knowing the difference between the “ate” and “ite” suffixes. Oxyanions that end with “ate” have one additional oxygen atom; in a symmetric fashion, you can say that oxyanions that end with “ite” have one less oxygen atom. For example, the sulfite ion has three oxygen atoms whereas the sulfate ion has four oxygen atoms. In a similar fashion to the suffix pattern, the prefix pattern involved in naming polyatomic ions shows extreme values of oxygen atoms in the ions. The two important prefixes are “per” and “hypo.” If an ion has a “per” prefix, it means the ion has one more oxygen atom than does the ion with as “ate” suffix. On the other side of the spectrum, if an ion has a “hypo” prefix, it implies the ion has one less oxygen atom than does an ion with an “ite” suffix. For example, the perchlorate ion has four oxygen atoms, one more than the chlorate ion; the hypochlorite ion has a single oxygen atom, one less than the chlorite ion. Hydrogen atoms in polyatomic ions bring a positive charge into the ion. This means if you are comparing two ions and you see one has an additional hydrogen atom, you can know its negative charge has been reduced by one. This holds for the addition of multiple hydrogen atoms; for example, two hydrogen atoms reduce the negative charge of the ion by two. For instance, compare hydrogen phosphate (HPO4) with dihydrogen phosphate (H2PO4). If you know the charge of one ion, you need not remember the other. That is, if you know hydrogen phosphate has an ionic charge of -2, you can know dihydrogen phosphate has a charge of -1, since it introduces an extra hydrogen atom. Acid names with “or” in them imply the inclusion of phosphorus and oxygen, such as phosphoric acid (H3PO4). Acid names with “ur” in them imply the inclusion of sulfur, as in hydrosulfuric acid (H2S). Verial, Damon. "Tricks to Remember the Polyatomic Ions." Sciencing, https://sciencing.com/tricks-remember-polyatomic-ions-12095967.html. 13 March 2018.